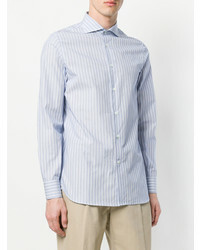 For a nothing less than incredibly stylish outfit, consider pairing a Gabriele Pasini striped shirt from farfetch.com with olive dress pants. 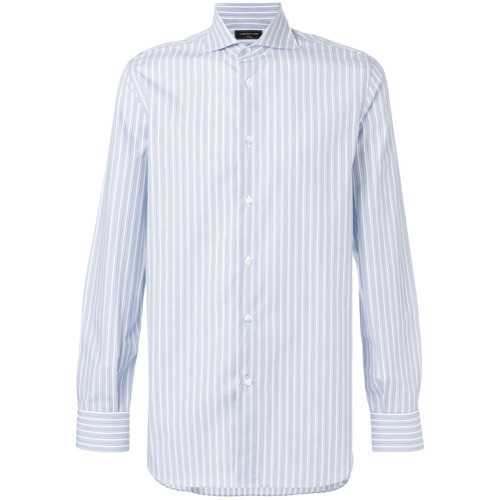 If you're on a mission for a casual yet on-trend look, pair a Gabriele Pasini striped shirt with black jeans. Both items are totally comfortable and will look great together. We all seek comfort when it comes to dressing up, and this combination of a Gabriele Pasini striped shirt and black sweatpants is a good illustration of that. 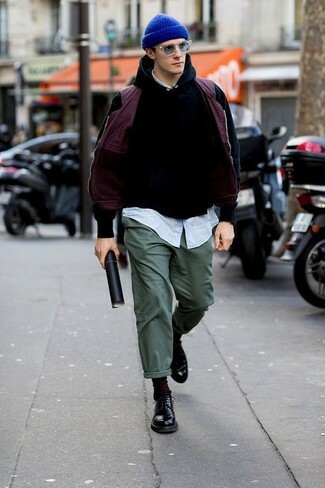 Add a more relaxed feel to your look with beige athletic shoes. For a nothing less than incredibly stylish getup, pair a light blue vertical striped long sleeve shirt with charcoal wool dress pants. Break up your look with more casual shoes, like this pair of brown suede brogue boots. 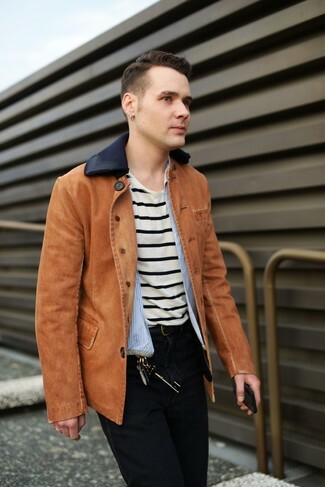 If you're on the lookout for a casual yet on-trend look, dress in a Gabriele Pasini striped shirt from farfetch.com and navy jeans. Both items are totally comfortable and will look great paired together. 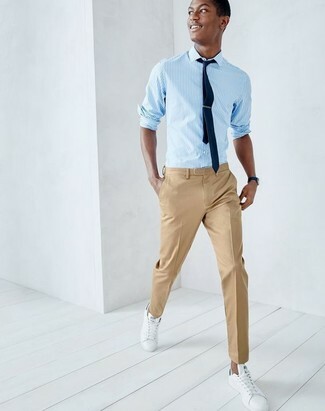 Nail that dapper look with a light blue vertical striped long sleeve shirt and khaki dress pants. If you don't want to go all out formal, rock a pair of white leather low top sneakers. 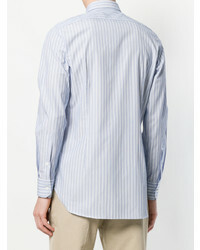 If you enjoy a more casual approach to fashion, why not pair a Gabriele Pasini striped shirt from farfetch.com with navy jeans? Let's make a bit more effort now and make black suede desert boots your footwear choice. 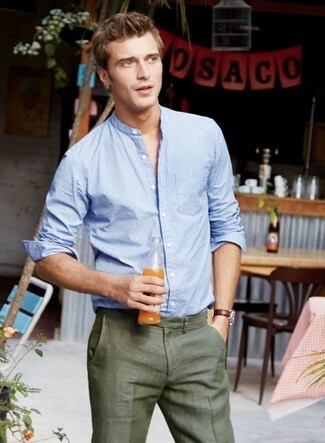 If you're in search of a casual yet on-trend outfit, try pairing a Gabriele Pasini striped shirt with dark green chinos. Both items are totally comfortable and will look great together. 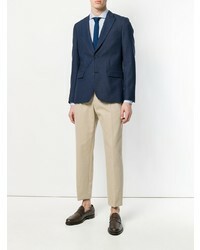 Channel your inner Ryan Gosling and make black leather derby shoes your footwear choice to class up your getup. 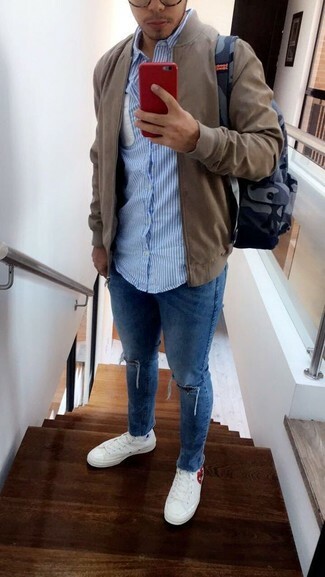 For a comfortable-as-your-couch outfit, opt for a light blue vertical striped long sleeve shirt and blue ripped skinny jeans. 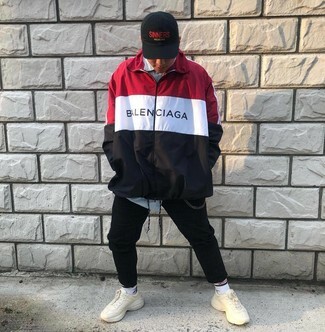 And if you want to instantly amp up the style of your look with one piece, enter white canvas low top sneakers into the equation.